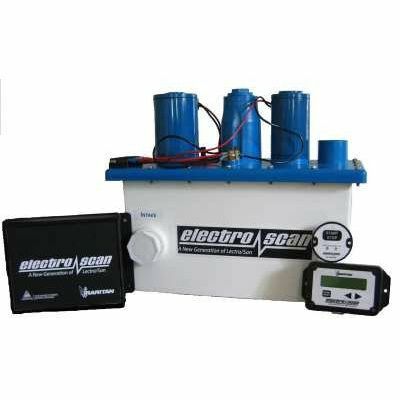 The Electro Scan is the new generation water and waste treatment which replaces the original Lectra/San System. The Electro Scan discharges are safe for environmentally sensitive areas and Electro Scan consistently controls the electrodes to reduce power consumption by up to 36%. The LCD display provides detailed information and lists current system status. It also stores historical data for a variety of diagnostics.